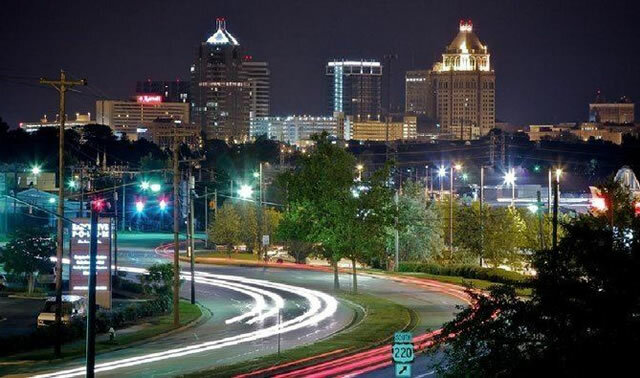 Higgins Benjamin attorneys have extensive roots in the Greensboro community, and a commitment to helping the area thrive. Working to create positive outcomes for our clients is a critical component of our commitment to the community and to you. Our law firm is structured to address challenging legal problems while still giving you the personal attention that your case might require. As a middle ground, we provide the expertise and experience you’d find with a much bigger firm while giving you the attention you’d associate with a smaller firm. The attorneys at Higgins Benjamin are focused on addressing client interests and needs first and foremost. Recognizing the importance of talented representation that is also affordable, we strive to meet your goals and exceed expectations helping you with a range of legal issues. We’ve got experience across the spectrum with a myriad of legal issues like bankruptcy, business and civil litigation, employment concerns, family law, and tax law. Our experience and knowledge allow us to serve you on a personal level so that you are always informed about the status of your case and confident in the representation you have retained. Choosing an attorney as soon as a legal dispute emerges is important, because it allows you to get to know you and your case on a personal level. Our attorneys pride themselves on getting to know both you and your business while providing practical legal advice that balances the economics, legal concerns, and common sense. Working with you from the outset of a legal conflict gives us a window into your goals and your concerns. This personal relationship with our clients drives all of our efforts here at Higgins Benjamin PLLC. With a proven track record of success in courts at the trial level, as well as in appellate courts, our attorneys have the tenacity, integrity, and experience to get the job done, and done well. Higgins Benjamin attorneys have extensive roots in the Greensboro community, and a commitment to helping the area thrive. Working to create positive outcomes for our clients is a critical component of our commitment to the community and to you. Higgins Benjamin is a large and capable law firm with a small town personal touch. Contact us to see how we can best serve your needs.